Fabrication can be undertaken to customer specification of almost any item from electronic instrument enclosures through to lighting components and custom one offs. Equipped with multiple welding bays, two CNC brakes presses with a capacity of up to 2500mm & 80 tons plus a brand new Safan guilotine precision fabrication is central to our engineering capacity. 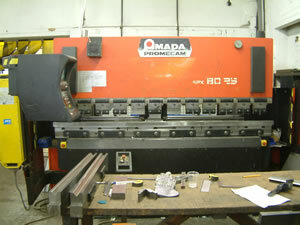 Assembly services are available for both medium volume work as well as prototypes and one off's. Typical examples of assembly work carried out include precision locksmith tools, glued aluminuim components for custom architectural lighting and ornate signwork using laser cut components. 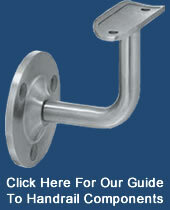 We undertake all assembly contracts suited to a company of our size. 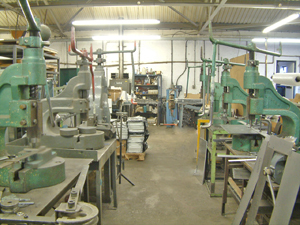 Large tool library of both air bend dies and bottoming dies for standard shapes such as folds, seams, embossing and peircing as well as complex bends such as corrugations and roll beads. 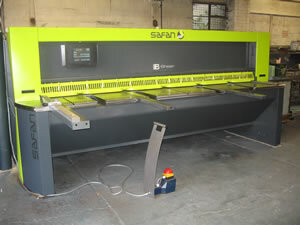 Safan 3000mm sheet metal guillotine cutting upto 6mm. The B-Shear is the latest from Safan and offers programmable starting position for the cutting beam, automatic x axis compensation when setting the clearance and Touch Screen control with data management of the cutting programmes. Other features include low noise, blades with 4 cutting edges, built in measuring sensor and automatic backgauge adjustment. We can undertake a wide range of metal inserts including captive nuts, threads, bushes, fasteners and rivets using our Hertridge Insertabush fabricator which allows us to insrt fixtures with a high degree of accuracy and repeatability.